Leominster - Esther (Marini) Carrabba, 96, of Leominster, passed away peacefully on August 25th, 2018. Esther was born in Clinton on April 30, 1922, a daughter of the late Tito and Pierina (Leoni) Marini. She graduated from Clinton High School, Class of 1939 and attended Business School at night for bookkeeping and short-hand. 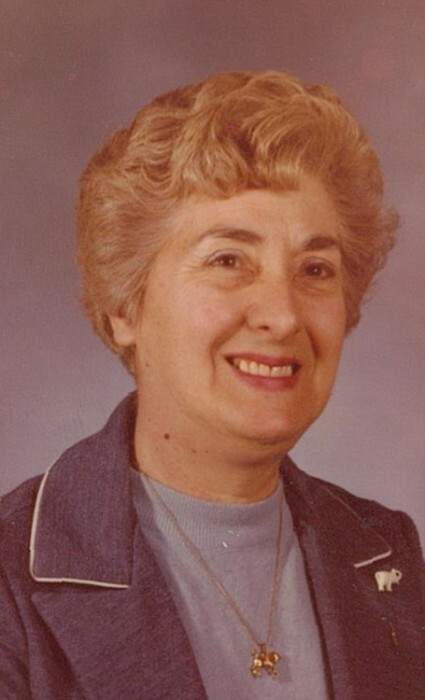 Prior to her retirement, Esther worked for the Leominster School System as a secretary and was loved by everyone. She was a parishioner of St. Anna Church, and was a devoted Catholic. She enjoyed knitting, crocheting, reading, traveling, playing Bingo and visiting her sons in Arizona and Pennsylvania. She leaves her two sons; Louis Carrabba Jr., of PA and Bruce Carrabba of Tuscon, AZ; sister, Enea Zangarine of Bolton; granddaughter Melissa (Carrabba) Pandiscio and husband Chris of Leominster; great grandchildren; Allie and Rocco Pandiscio of Leominster, and many nieces and nephews. Esther was predeceased by her husband, Louis J. Carrabba Sr., in 1988; her siblings Mea Clisham, Diore Marini, Anthony D. Marini, Dea G. Ballis and Ettore J. Marini; and her daughter-in-law, Debbie Carrabba. She will be missed by her friends and family, especially her granddaughter, Melissa. Esther's Funeral will be held Friday, August 31, 2018, from Wright-Roy Funeral Home, Inc., 109 West St., Leominster, with a Mass of Christian Burial at 11:00 a.m. in St. Anna's Church, 199 Lancaster St., Leominster. Burial will follow in Evergreen cemetery ,Leominster A Calling Hour will be held Friday morning, prior to the funeral, from 9:30 - 10:30 a.m. in the funeral home.